The Scientific Committee of Paris Redox 2019 will be welcoming Prof. Rheinallt M. Jones from Emory University School of Medicine, USA. 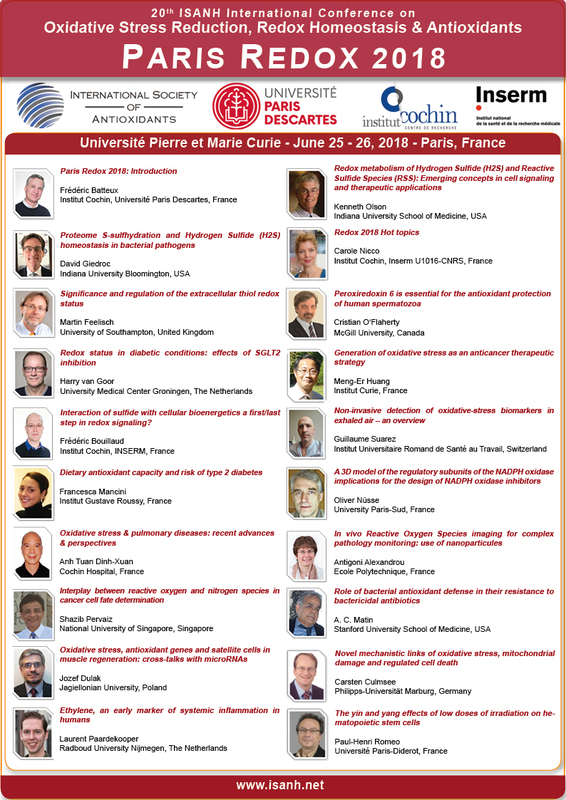 Prof. M. Jones will talk about "Commensal microbiota induced redox signaling activates proliferative signals in the intestinal stem cell microenvironment" during Paris Redox 2019 Congress. Distinct taxa of lactobacilli is capable of stimulating the generation of reactive oxygen species (ROS) within cells, and inducing epithelial cell proliferation. Lactobacilli-induced ROS is strictly excluded from defined midgut compartments that harbor adult midgut progenitor (AMP) cells, forming a functional 'ROS sheltered zone' (RSZ). The RSZ is undiscernible in germ-free larvae, but forms following monocolonization with Lactobacillus plantarum.